It’s that time of the year again: end of the year, winter and holiday/ Christmas season! First and by far most important we would like to thank you for your endless support, dedication and energy that you bring. On that note, IT’S CHRISTMAS PARTY TIME!!!!!! We would like to invite you to join us for a Christmas Social, Family style! What better place to host it than at our home AfroLatino Dance Studio @ 901 Yonge St.? 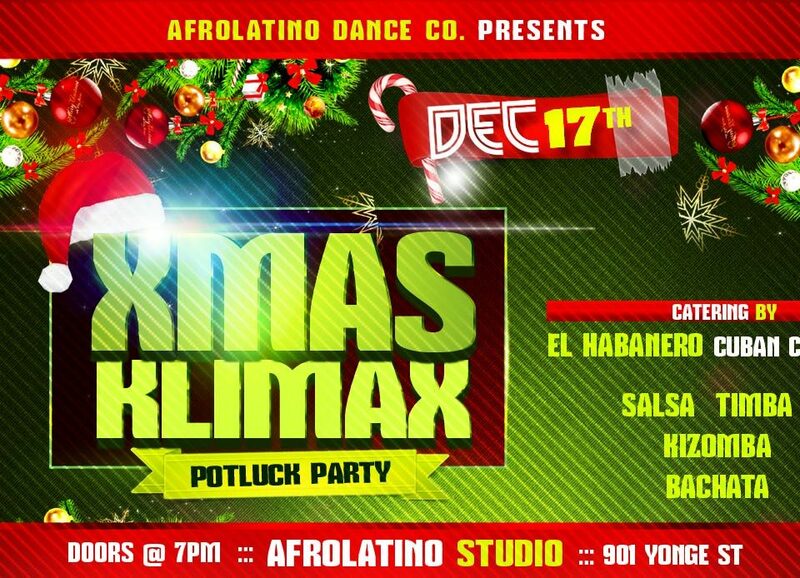 With 2 Rooms 2 sounds Afrolatino Social Style. As per some of your suggestions… to engage people and share the food, but also “we like to see what other people cook”. So, Christmas Pot luck Social it is. 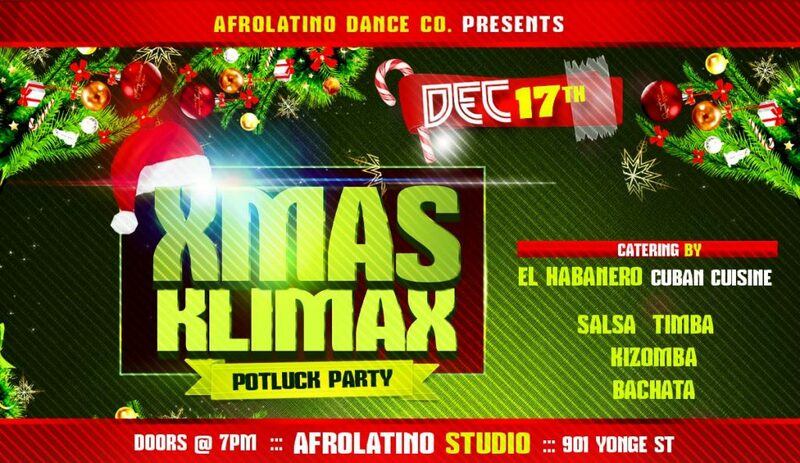 There will be some food provided by AfroLatino but pot luck in effect. Please come early and enjoy the dinner with us. Alcohol will be available ($), please no outside alcohol. Merry early Christmas Ho ho ho!!!! !